Hello, all! 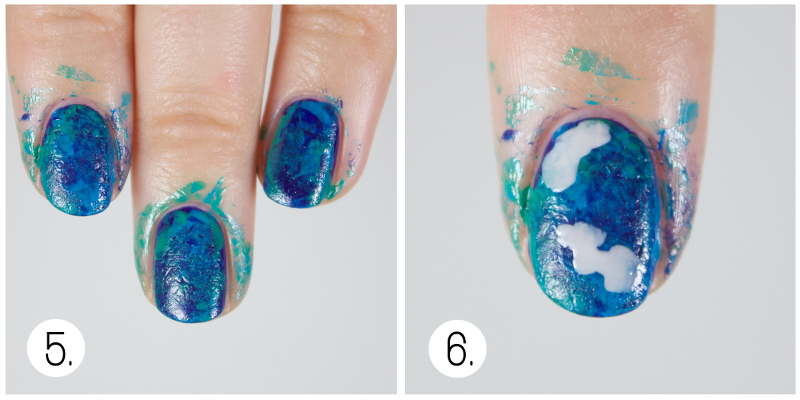 Today I have a nail art tutorial inspired by the Cinda Williams Chima young adult series, The Heir Chronicles! 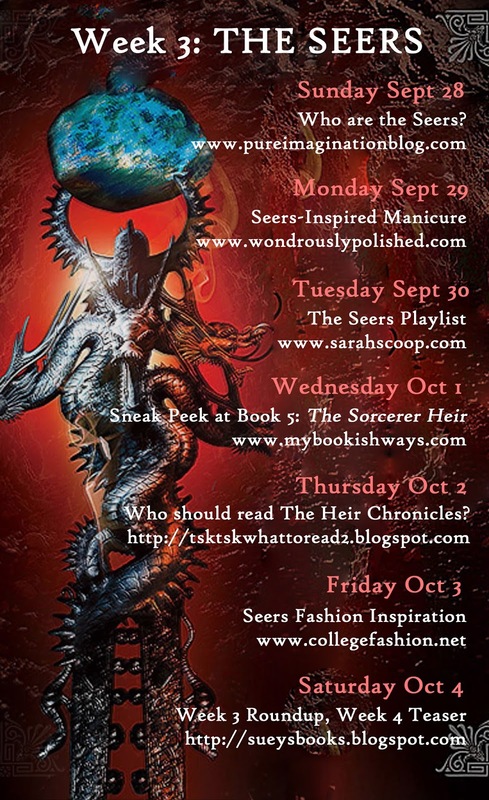 In a few short weeks, the final book of the 5 part series, The Sorcerer Heir, will be released and in honor of that occasion, a massive blog tour has been underway. The third week in the tour is all about book 3 in the series, The Dragon Heir. The magical guild of this book are the Seers and one of the main characters ends up coming across a powerful talisman with a giant opal in it called the Dragonheart (which you can see in the above book cover!). So, I've created an opal nail art look inspired by the opal on the book's cover and in the story! Click through to see the tutorial for this look and to learn more about the series and blog tour! 1. 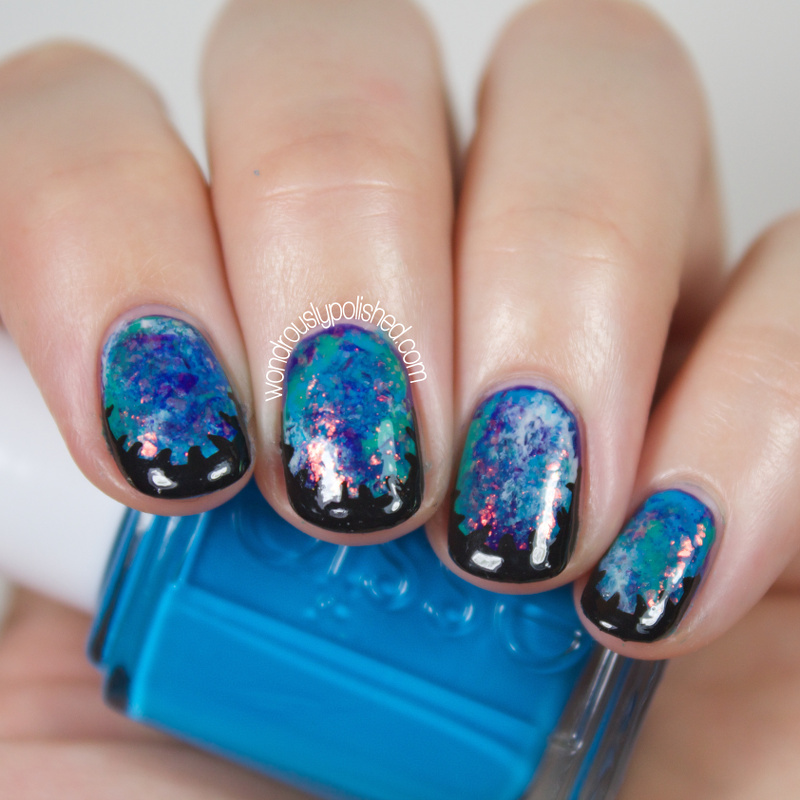 Paint your nails a dark blue shade and let dry completely. 2. Take a piece of saran/cling wrap or a cut up sandwich bag and crumple it into a ball. The more crumpled, the more texture it will create in the next steps. 3. 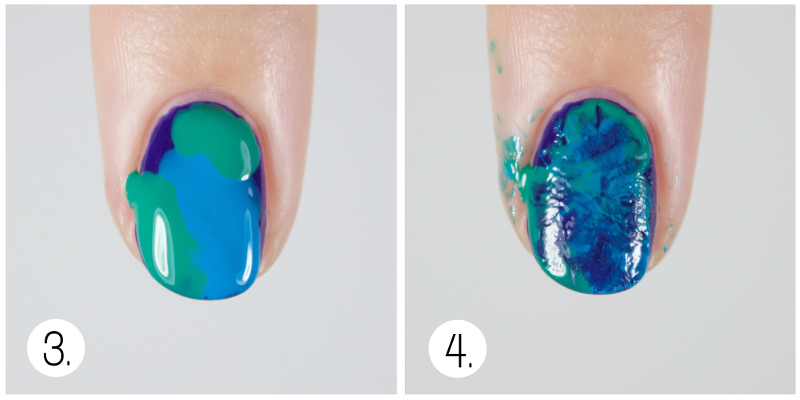 Blob drops of bright blue and teal polish onto your nail in a random pattern. 4. 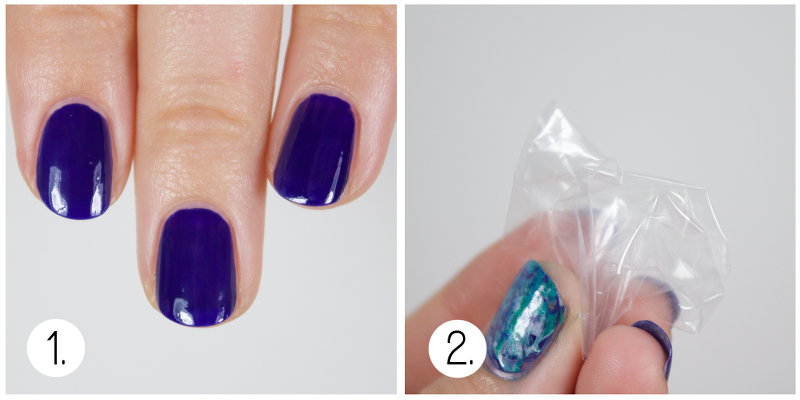 Blot the wet polish drops with the crumpled up piece of plastic you got ready in step 2. This will create a unique opal blended look. 5. 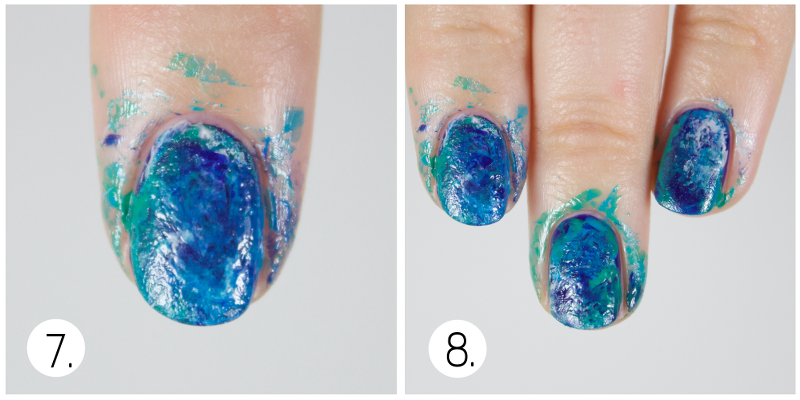 Repeat this step on all your nails. 6. 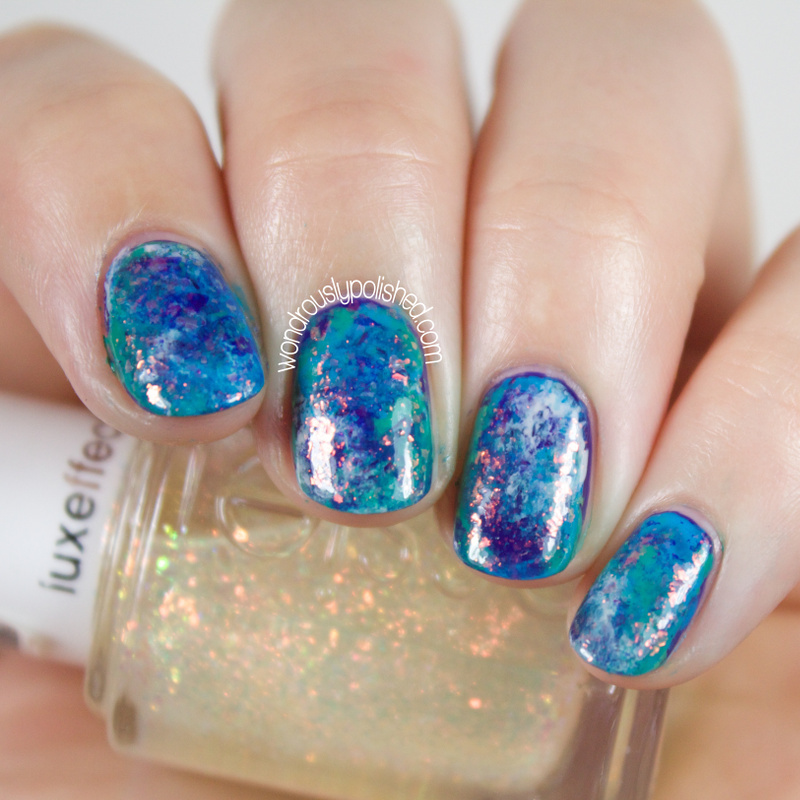 Add some dimension to your opals by adding blobs of a light creme shade sparsely on the nail. 7. Repeat the plastic wrap blotting with the light colored polish now. 8. Repeat on each nail. If you don't like how some of the colors are blending, don't be afraid to repeat steps 3-7 until you like what you see! 9. Use a clean-up brush or q-tip dipped in acetone to clean up any polish you might have gotten on your skin during the blending steps. 10. 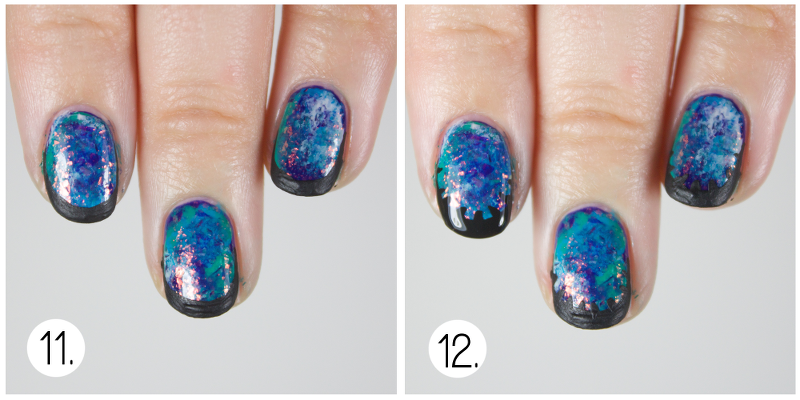 Add a coat of iridescent flakie top coat over your opal base. This will add the iridescent look that opals are known for. I'm using Essie's Shine of the Times, but there are a few other options available as well. Or, add the next two steps to create the prongs that hold the opal in place as they would in a piece of jewelry (or on a talisman. 11. 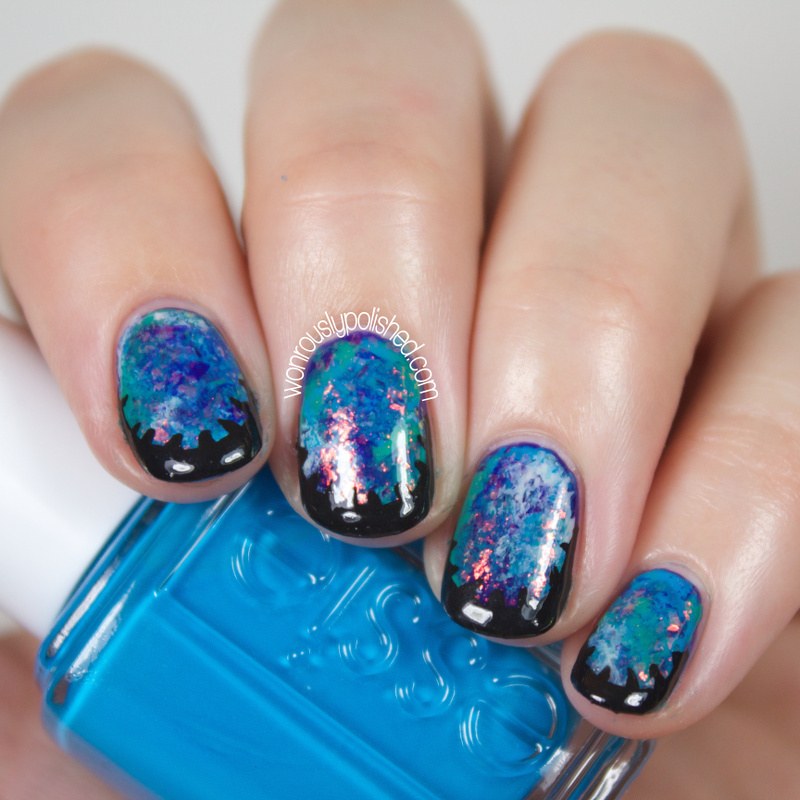 With black acrylic paint, add a thin black tip to each nail. 12. Add thin and short lines along the edge of the black ring to create the prongs. 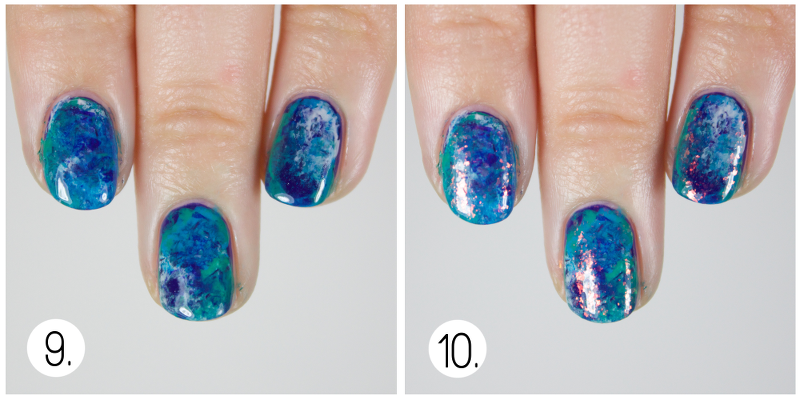 Finish off the look with a top coat and enjoy! For those curious, here's a breakdown of the tools and polishes I used for this look. Be sure to follow along with the rest of the posts for The Seers week (and the upcoming weeks!) by checking out the calendar below! 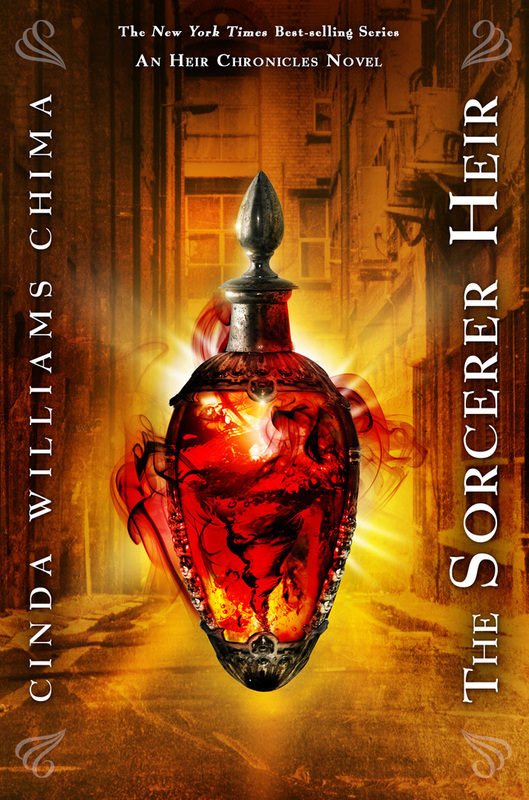 The Sorcerer’s Heir is a self-contained story, accessible to readers just discovering the Heir series, but loyal fans will be rewarded by visits from characters they love (and love to hate) from the earlier installments. Readers will be glued to their seats through riveting fight scenes, deadly political machinations, burgeoning romance, and the unfolding intrigues of a contemporary magical world.